Catrice Multi Colour Blush in 060 Strawberry Frappucino comes in typical Catrice see trough packaging and contains four matte pink shades that complement each other. I usually swirl all four colors together with a blusher brush and the result is a soft peachy pink with a hint of shimmer for a natural healthy glow. The blush has a powdery texture, is reasonable pigmented and the color is definitely buildable. It stayed all day long on my cheeks, so staying power is quite good for a drugstore brand. In my opinion, this is a great everyday blush and given the price of € 4.49 you can’t go wrong. I actually find myself reaching quite often for this blush and I definitely recommend giving this a try, if you are on a look out for a good quality budget blush. 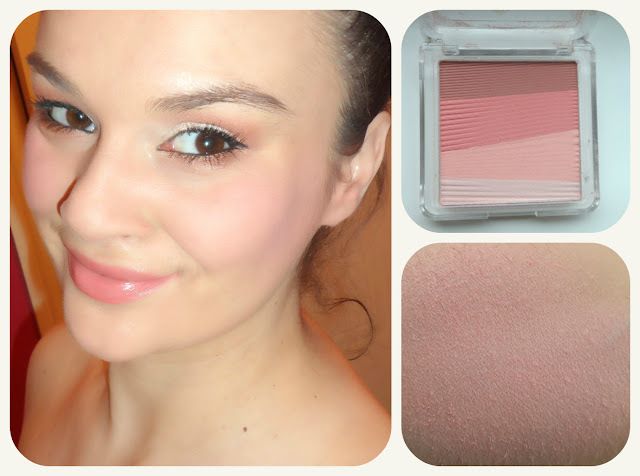 Have your tried the Multi Colour Blush by Catrice? What do you think? Please let me know!